No movie studio would touch it. Producer Lawrence Turman had shopped around Charles Webb's quirky novel The Graduate without much success. It wasn't until larger-than-life film promoter and producer Joseph E. Levine decided to finance the project that it moved forward. Turman brought on director Mike Nichols who had just completed Who's Afraid of Virginia Woolf? (1966) and the project began to take form. Dustin Hoffman, a relative newcomer, was considered an odd choice. They tried to get Robert Redford on board but he just didn't understand the character. Little did anyone know that Hoffman would be the perfect candidate for the title role and that his character would resonate so profoundly with young people for decades to come. The Graduate had everything going against it yet everything going for it at the same time. It triumphed because of many factors. It spoke to a generation that was coming-of-age during the Vietnam War and unsure about their future. The Graduate's Benjamin was their hero; one who was willing to say no to plastics and imagine a different life for himself. Audiences cheered on because he represented themselves. And there was more. Simon & Garfunkel's music, the visual artistry, the performances by the cast, the brilliant work by the screenwriter, director, producer, and the rest of the crew. It all melded together to make one beautiful movie. Releasing on the 50th anniversary of the film, author Beverly Gray's new book Seduced by Mrs. Robinson explores every aspect of The Graduate's history from its birth as Charles Webb's novel, to the production of the film and the aftermath of its legacy. 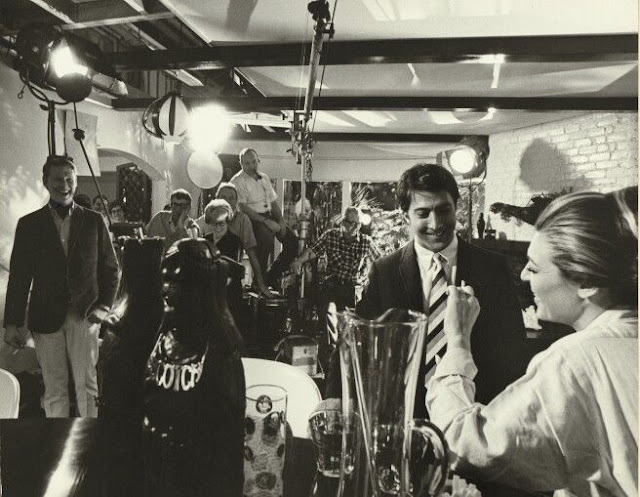 Gray did extensive interviews with producer Lawrence Turman and also talked with other important figures in the making of the film including the star Dustin Hoffman and screenwriter Buck Henry. Readers can tell this is a passion project because of how much time and effort has gone into exploring every facets of this very important film. Gray inserts herself in the narrative. As a young woman coming-of-age in Los Angeles, when The Graduate released she was part of that generation that the film resonated so strongly with. The book is not only about the journey of the film but also her journey in discovering it's impact on our culture. As someone who reads a lot of film books, it's rare that I find a book so brilliantly written. Gray has a fantastic voice. Her writing style is approachable and as a former story editor for Roger Corman she has a knack for storytelling. Gray offers a lot of interesting insights and information about the film that will give readers a new appreciation for this classic. There are lots of nuggets of trivia to be taken away. Doris Day turned down the role because it offended her values. Anne Bancroft was dressed in animal prints and put in jungle-like settings (poolside with tropical plants) to visually convey her character. This was inspired by Nichols' reading of Henry James The Beast in the Jungle. Haskell Wexler lacked the enthusiasm to the film's cinematographer and was replaced by Robert Surtees. And those are just a few bits of information. The book is chock full of them. I learned more than I ever needed to know about The Graduate. I was quite shocked to see how big of a deal Dustin Hoffman's appearance was at the time and how everyone made rather rude comments about his nose. I've always thought he was a rather good looking guy. On my first viewing of The Graduate the impact of the story was completely lost on me. Over time I've learned to appreciate it more and Gray's book definitely made me understand the film's importance. I have two quibbles with the book. One is that there is absolutely no mention of storyboard artist Harold Michelson who contributed significantly to the visual style of the movie. He's not even listed in the "Roll Credits" section in the backmatter. I know the author disputes just how involved Michelson was in the movie but I was surprised he was skipped over completely. The second is that there is one 60 page section of the book completely devoted to scene-by-scene plot description. I wasn't sure this was necessary. However, this reads fairly quickly and there are some insights and interesting observations embedded that can make it worth your while if you don't mind a refresher of the movie. I had the pleasure of meeting Beverly Gray at the 2017 TCM Classic Film Festival. You can watch my interview with her here. Thank you to Algonquin Books for sending me a copy of this book for review! UPDATE: Congrats to Sal the winner of the giveaway. Thanks to everyone who participated!